Welcome to the Crochet With Us Fall Poncho CAL Part 8! If you haven’t started the CAL yet or don’t know anything about it, you can find a lot of helpful information in the Introduction Post. 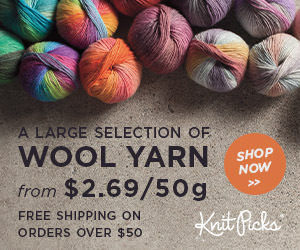 In the Introduction post, you will find information about the yarn options, hook sizes, finished project sizes, yarn yardages, and updated links to all parts of the CAL. After each part is published online, the link will be added to the Introduction Post, on a post by post basis. Join the Crochet With Us Group on Facebook for assistance with the CAL – it is a lovely group filled with helpful and caring Crocheters who are happy to help each other. 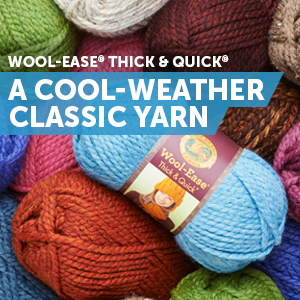 Option 1: Worsted Weight (Red Heart Soft) – 6.0 mm (J). Instructions are for Child Size 6. Option 2: DK Weight (Knit Picks Gloss) – 5.0 mm (H). Instructions are for Child Size 4. Sand Stitch – this is a full photo tutorial for the sand stitch that will be used in this week’s part of the crochet-along. Colors are changed in the last yarn over. If you are making Option 1, your piece will measure 11.5″ wide and approximately 12.5″ in height after Row 41. If you are making Option 2, your piece will measure 10.5″ wide and approximately 11.5″ in height after Row 41. If you are making Option 1, your piece will measure 11.5″ wide and approximately 14″ in height after Row 45. If you are making Option 2, your piece will measure 10.5″ wide and approximately 13″ in height after Row 45. Repeat Parts 2-8 until you have reached 1″ before your desired length (the chart is shown on the intro post). It is possible to reach the length before you repeat all of the parts and that is ok. You may even end in the middle of a part which is ok too! I completed my rectangles by working up 75 rows. I did one row of the Crossed Double Crochet Stitch (Row 74) followed by one row of sc (Row 75) then I fastened off. Hi Dena! I’m sorry you are having issues. Are you clicking from the intro post on Rhondda’s blog or somewhere else? I am going to try to see what the issue is and let you know! Sorry about that! It’s 21 1/2″ around and 6″ wide.